Duck egg is definitely becoming a key ingredient of many modern colour schemes. To help meet this demand we are proud to exhibit this varied but consistently attractive range. 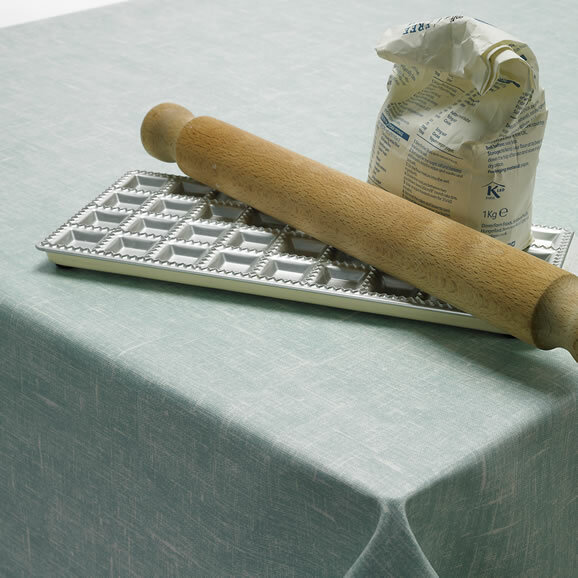 Duck egg blue tablecloth seems, in particular, to be very popular across the board, as whatever form or pattern it is a part of, it seems to blend so naturally into its surroundings. But as always we aim to showcase other unique designs and interpretations to cover all tastes, at times steering away from the mainstream or what may readily be available to offer something a little bit different too.